We encourage you to join DT4G#Barcelona, our exclusive startup event within the European Commission program, Startup Europe, that will take place on 25 April 2019 at the Pier01 of Barcelona Tech City. DeepTech4Good is an Acceleration Programme, financed under the Horizon 2020 framework, committed to help Deep Tech startups accelerate their development and scale up at a European level. There are 4 application domains: Health & Well-being, Industry 4.0, Smart Mobility, Smart City. DeepTech4Good is led by 4 innovation hubs from Germany, France, Austria and Spain, working together to identify high potential Deep Tech startups. The DT4G#BCN event is an excellent opportunity to present your innovative technologies in front of investors and large companies from different European countries. The startups will have the chance to do pitches, have b2b meetings with investors and representatives of large companies and to participate in the Open Innovation Challenges, focused on presenting innovative solutions to the corporates’ challenges in order to create cooperations with these European corporates. @Startups: Don’t miss the unique opportunity to apply for the call of investor’s pitching & corporate challenge pitching until the end of March. 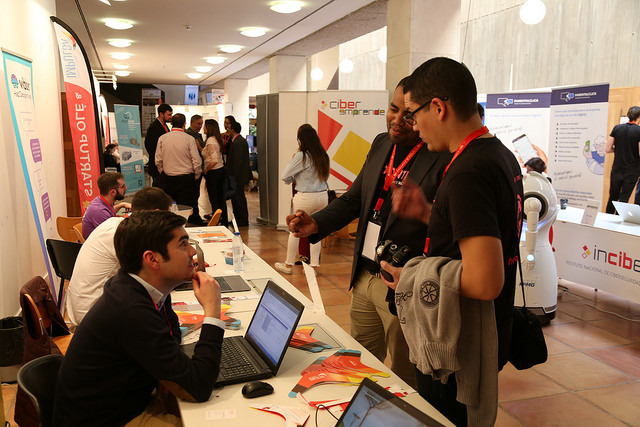 The finalists will be able to pitch in front of investors and international corporates during the event in Barcelona. For more information check out the official event website: https://www.deeptechforgood.eu/events/dt4g-barcelona/.